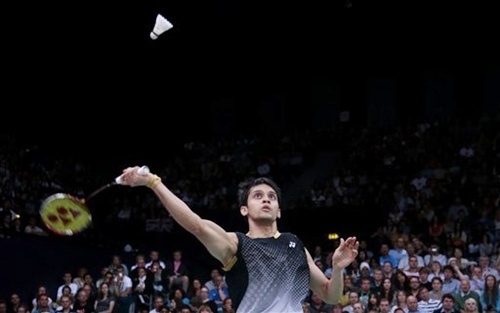 Parupalli Kashyap, who became the first Indian male shuttler to reach the quarter-finals of the Olympics on Wednesday, will have a daunting task of dethroning top seed and world number two Lee Chong Wei of Malaysia if he wants to reach the semi-finals in the London Games. 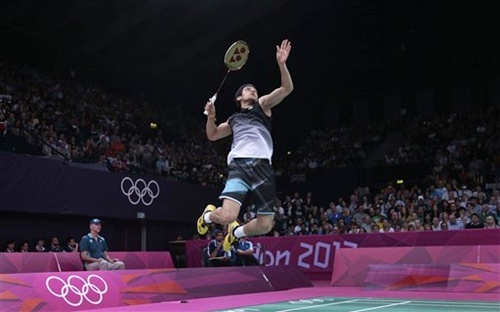 The Commonwealth Games bronze medallist saw off Sri Lanka's Niluka Karunaratne 21-14, 15-21, 21-9, while Chong Wei tamed world No 6 Simon Santoso of Indonesia 21-12, 21-8 in the pre-quarter-finals at the Wembley Arena. The 21st-ranked Indian ace drew on all his experience and craft to quell the challenge of his opponent, ranked 27 places below him in the world chart, winning the pre-quarter-final clash, that lasted 66 minutes, 21-14, 15-21, 21-9. The 25-year-old Hyderabad lad thus emulated the feat of Saina Nehwal, who entered the last-eight stage at the Beijing Games four years ago. Kashyap, though, doesn't have a good record against Chong Wei. The Indian was beaten by the Malaysian in straight-games during the Denmark Open in January early this year. Kashyap survived a scare from the 5 feet 8 inch tall Sri Lankan. In a match that witnessed several long rallies, the Indian was made to work for every point as the Sri Lankan showed excellent retrieving power and engaged his opponent in long rallies. In the first game, Karunaratne went ahead 7-4 but Kashyap narrowed the gap and then built a healthy six-point lead at 17-11. He delighted the packed audience with beautiful cross-court winners and his trademark drop shots to pocket the first game with a powerful smash. The Sri Lankan, however, made an impressive return in the second game and involved the Indian in long rallies, forcing him to commit sideline errors. It looked like the discussion with his father-coach during the break instilled a new belief in the Sri Lankan as he came back more determined and took a commanding 10-point lead at 18-8. Kashyap tried to stage a comeback and saved eight game points but Karunaratne clinched the game with a smash. In the decider, both fought tooth and nail for every point. If Kashyap played aggressively and employed his drop-shots to perfection, the Sri Lankan retrieved everything the Indian threw at him. The 27-year-old from Galle turned out to be a surprise package for Kashyap as he used his round-the-head cross-court winners to good use. But Kashyap kept his composure and gradually increased his lead from 7-5 to 11-5 and then made it a decisive 18-9 before sealing the match. The long-rallies sapped the energy out of Karunaratne as in the end, he offered little fight, Indian won the decider and the match after the Sri Lankan's smash went wide. 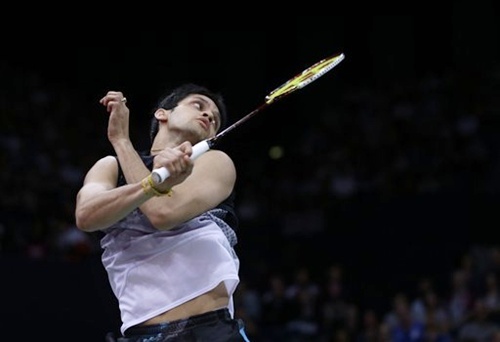 Kashyap will meet the winner of the match between Indonesia's Simon Santoso and world No 2 Lee Chong Wei of Malaysia in the last-eight stage. The previous best performances by Indian at the Games were by Dipankar Bhattacharjee, who entered the pre-quarter-finals at the 1992 Barcelona Games, and Pullela Gopichand, who lost in the pre-quarters at the Sydney Olympics in 2000. Sports Minister Ajay Maken congratulated Kashyap on Twitter. "KASHYAP on his day is a World Champ! Congrats KASHYAP! Congrats Coach GOPI! We are proud of both of your wards Saina & KASHYAP!" he twitted. On reaching the next stage of the tournament and a probable date with top seed Lee Chong Wei, who has been replaced as World No. 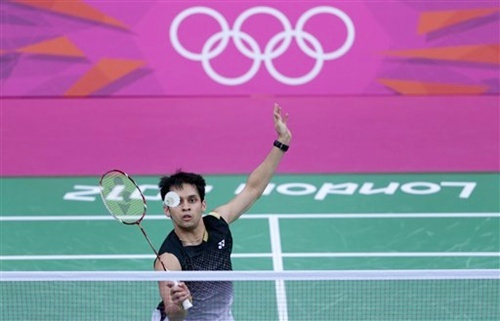 1 by Lin Dan since the Olympic qualification cut-off point, Kashyap said, "It's great to be in the Olympic quarter-finals and probably meeting the World No. 1." Kashyap said saving eight game points in the second game was the turning point of the match. "After the first game, he started to read my game so I needed to slow it down and he got confused with my game. That was the turning point of the match," he said. On the disciplinary charges brought against the Chinese, Korean and Indonesian women's double pairs, the Indian said, "You can't blame anyone. They want to try and win a medal. They are doing it for their country. (It would be) very harsh if they punish them." "The rule has changed and they should have realised.Either make it a rule that only one player goes through. There is a problem with the format. "It has happened before. The players are working very hard but they (the BWF) didn't expect China to lose to Denmark. They should have expected it," he added. 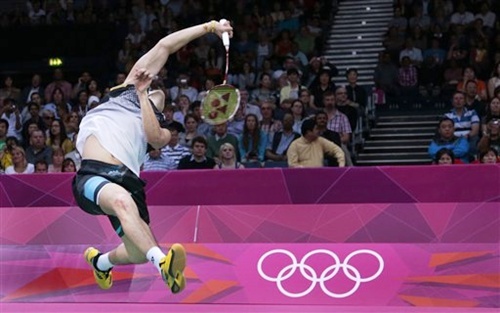 Eight women players could face disciplinary action after the Badminton World Federation (BWF) charged them with "not using one's best efforts to win a match" after two matches at the Olympics ended in a controversy. Meanwhile, Karunaratne said that Kashyap's strong comeback in the third game dashed his hopes of causing an upset. "I wanted to give him a good fight. I was a bit nervous in the first game and lost my focus. But I recovered and was more focused and relaxed in the second game. Unfortunately, he was very strong in the third though," he said. On the disciplinary charges brought against the four women's doubles pairs, the Sri Lankan said, "I didn't see the matches yesterday but as a player it is really bad if you do something like that. For us the game should be about human spirit and humanity. Sports should be about learning and fun." "It does happen sometimes at other tournaments and it is unfair for the other players. Personally, I'd never do that -- I just want to win," he said.